“President Kumaratunga resigned as leader of her government United People’s Freedom Alliance on August 4. Government interlocutors officially described the resignation as expected, adding that it would allow the President more time to focus on the peace process. Her departure from the leadership position comes after party officials claim they were misquoted on August 3, saying she had reversed her position to discuss the Tigers’ interim administration proposals at peace talks. While her August 4 resignation does not imperil the government, it likely represents internal alliance turmoil. The President may feel this is her only option for distancing herself from the infighting.” the US Embassy Colombo informed Washington. The Colombo Telegraph found the related leaked cable from the WikiLeaks database. 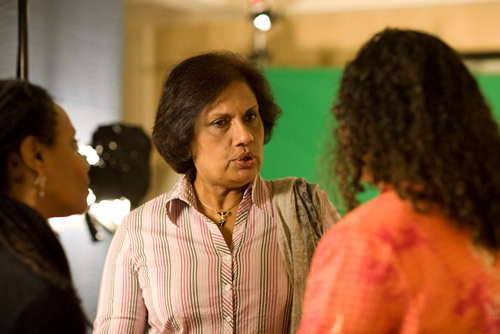 The classified diplomatic cable details the resignation of the President Chandrika Kumaratunga as leader of her government United People’s Freedom Alliance on August 04, 2004. The “Confidential” is cable signed by the US Ambassador to Colombo Jeffrey J. Lunstead on August o5, 2004. “The UPFA executive council met on August 2. The incident that followed may have led to the President’s decision to resign her leadership position. Media outlets reported on August 3 that at the Council meeting the President had “backtracked” on her promise to discuss the Liberation Tigers of Tamil Eelam Interim Self-Governing Authority (ISGA) proposal at peace negotiations. In the firestorm that ensued, the SLFP spokesman Maithripala Sirisena publicly issued a denial of comments that the President had changed her negotiating position. The state-owned DAILY NEWS apologized for conveying an incorrect interpretation of the government’s stance on peace negotiations and printed a clarification from the GSL.” the ambassador further wrote. I think everything said made a great deal of sense. However, what about this? suppose you added a little content? I mean, I don’t wish to tell you how to run your blog, but what if you added a headline to possibly grab people’s attention? I mean WikiLeaks: CBK Resigns As Leader Of UPFA, Likely Represents Internal Alliance Turmoil: US is kinda vanilla. You could glance at Yahoo’s front page and see how they create news headlines to get people to open the links. You might try adding a video or a related pic or two to grab people excited about what you’ve written. In my opinion, it would bring your website a little livelier. for $ 21 billion- you might as well tell where he has invest this sum now. people don’t open even if you blink not just popups or headlines when you do things that way- ask Satchi & Satchi the advertising experts to Obama win.